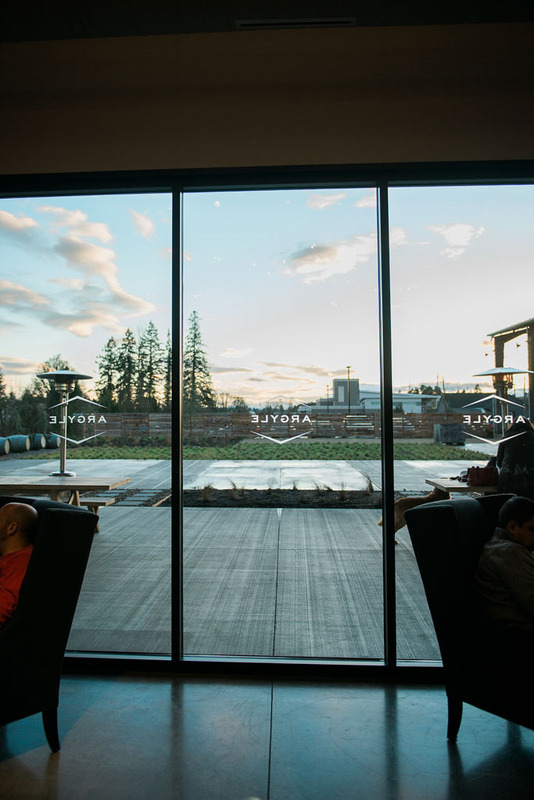 As a wine drinker, with a bit of an obsession for bubbles, I’ve been enamored with Argyle Winery in Dundee, Oregon for quite some time now. Although they produce some pretty spectacular pinot noir and riesling too, my main reason for visiting them is always the sparkling wine. For $15, you can get a flight of their current sparkling wines. On this particular visit, we were treated to their Vintage Brut, Brut Rosé and Conducere. It’s always hard to pick out which one is my favorite, but most times I’ll take home a bottle of the rosé with me. One wine of particular interest at Argyle is their Black Brut. 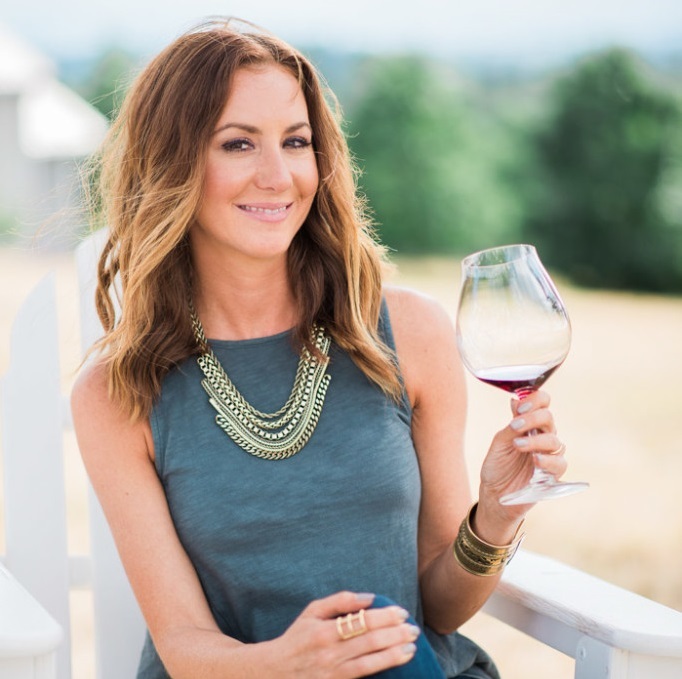 They take their Knudsen vineyard still pinot noir and turn it into a sparkling wine, that maintains the flavors of a pinot, yet has the effervescent qualities of a bubbly. I love to grab a bottle or two of this wine and stash it away for Thanksgiving each year. It’s a great match for the turkey, stuffing and heavier side dishes that are typically found on the holiday table. 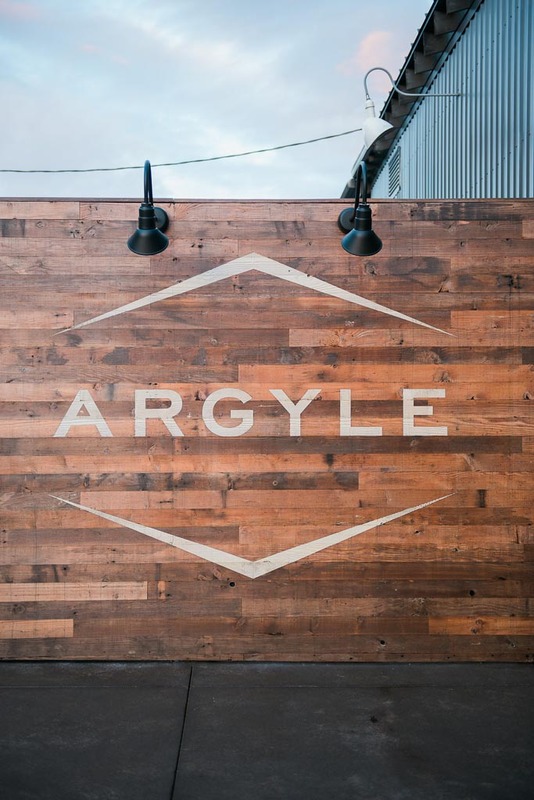 Argyle was recently revamped with a newly constructed tasting room, which is situated behind the original vintage building which was once a hazelnut drying plant. It’s large expansive space provides plenty of indoor and outdoor seating. 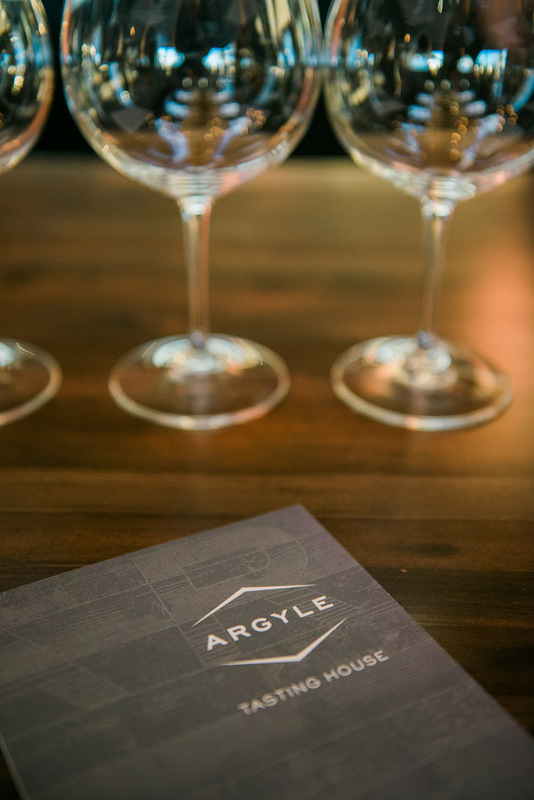 Argyle has three different tasting flights at $15 each (waived with purchase) – A sparkling flight, a reds only flight, and a mix of red, white an sparkling. Be sure to visit them at 691 Highway 99W in Dundee, Oregon. 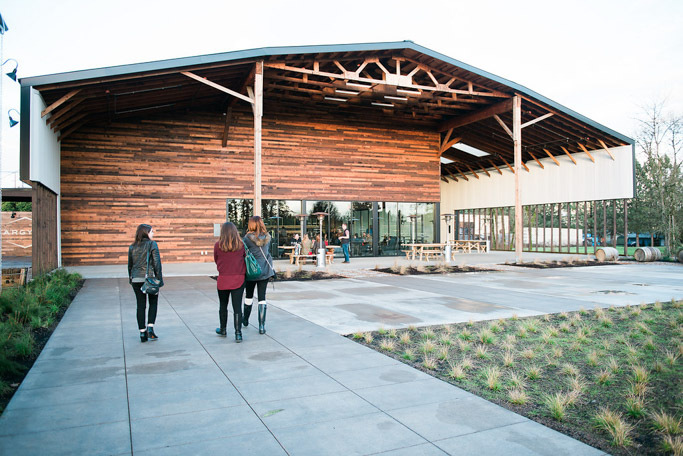 Other notable wineries to check out in the area are Lange Estate, Raptor Ridge Winery, DePonte Cellars, and Alexana. 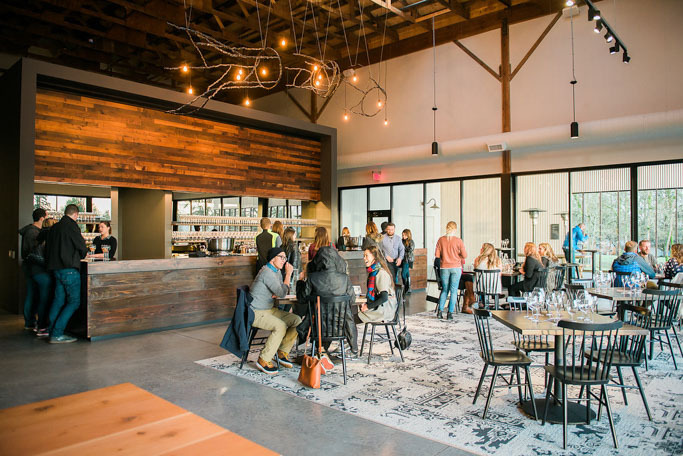 Be sure to check them out when you’re in the Willamette Valley – It’s always fun to start the day with bubbles! If you’re heading out for a day of wine tasting, be sure to check out my tips on how to pack a picnic for wine tasting and what to bring with you. The photographs featured in this post were taken by my extremely talented friend Deann Orr. If you are in the Portland area, I’d highly suggest booking a session with her. Be sure to check out her for more of her amazing work. Disclosure: I am a member of the wine club at Argyle Winery, and I pay for that membership out of my own pocket. I was not compensated in any way for this post. Totally celebratory Catherine – A day to celebrate YOU! Great highlight of a Argyle’s wine tasting room – it’s a great way to start or end a wine tasting day in the area! I’d love to visit here! 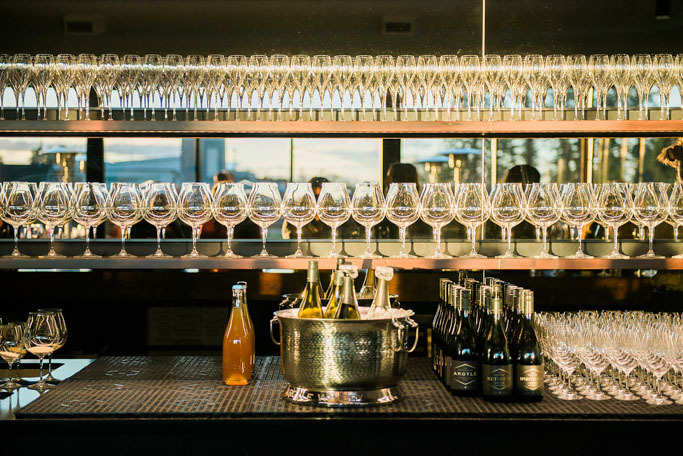 Sparkling wine is very much my thing… this is so my kind of wine tasting! Champagne, sparkling wine (usually prosecco), late harvest, and ice wine are basically the only varieties of wine I ever drink. I forgot to mention that they do have a dessert wine here too Natasha – You’d love Argyle! Ahh I love Argyle! Been a fan since I moved to Oregon in 2005. Though I have to admit, the Black Brut is probably my least favorite of their lineup. It’s pretty bold and intense. Definitely has its crowd though! I’m a fan of their rosé and the extended tirage. I also love their Nuthouse Pinot Noirs. We have a vertical of the nuthouse PNs from (I think???) 2004, 05, 06, that I’ve been dying to open together. Ooohhh – The vertical tasting lineup sounds amazing! Lucky girl! GORGEOUS. Last time I went out there (of course to get the sparkling flight) none of this even existed. I need to go back and check out the new look! A sparkling pinot sounds like the perfect pairing for a Thanksgiving meal! It’s definitely a totally different feel at the tasting room now Jenni. LOVE Argyle bubbly! Their Blanc de Blanc is my favorite, although they really are all lovely in their own way. I still haven’t been out to their tasting room since the remodel. It looks so great! Thanks for the tip about their Black Brut for the holidays — such a great idea! I love the Black Brut – It’s always sure to impress those who haven’t encountered it before! I hope you’re able to make it out there soon Brettni!